Can you sell on Facebook? Well this is a commonly asked question and till this day this question is still asked. People actually ask “can you sell on Facebook”. 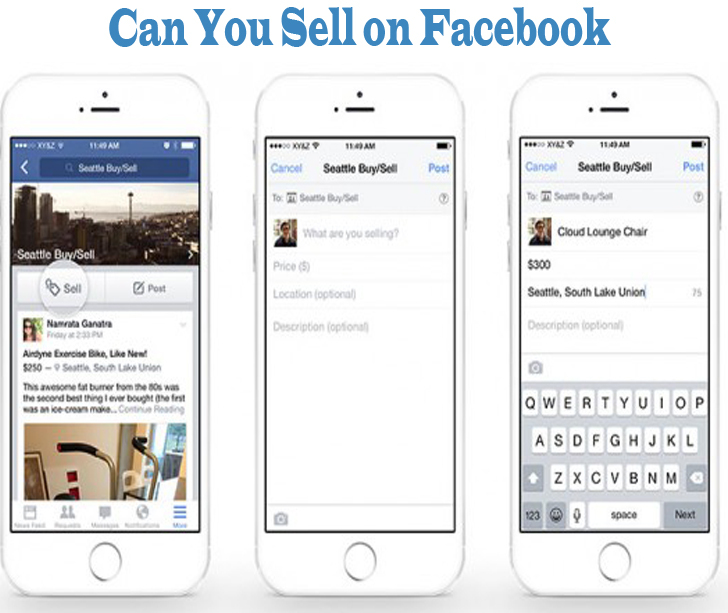 Yes you can sell on Facebook with no doubt and there are several ways you can do that. As a matter of fact, selling on Facebook is no longer a new thing as it is practiced in so many places and is the fastest way to generate fund by buying and selling. With that being known, how can you sell on Facebook? Is yet another question you should ask yourself or probably look into. Well that is what we are going t be looking into right away as know the fact that you can buy and sell on Facebook is not just enough. At least you might want to learn some procedures too right? How Can You Sell on Facebook? Like I said above, there are several ways to start selling on Facebook apart from the Facebook market lace which I might suggest you already know but can’t access it for some reasons or you are looking for more alternatives. However we are only going to discuss a few. These few are selling on Facebook selling pages, Facebook selling groups, your Facebook timeline and your Facebook friend timeline. How Can You Sell on Facebook Groups? Get to the Facebook group home page. Click on the dialog box indicating you should add a post or on start selling something if you find it. You are normally supposed to find these icons right after the group cover photo. Add the item you have for sale description and the price you wish to sell it. Lastly, add some photos to best describe your product and click on the post icon. That is it, everybody on the group will get alerted that you have posted an item for sale. How Can You Sell on Facebook Pages? Get to the Facebook page home page.to do this, find the page using the search bar and click on it from the result. Click on the dialog box indicating you should add a post or on start selling something if you find it. Add the item you have for sale description and the price of which you want to sell it. Add some photos to best describe your product and click on the post icon. That is it. However most times, these pages are not quite effective like the groups but you are also bound to get results. How Can You Sell on Facebook Timeline? Login your Facebook account using the official Facebook site. From your newsfeed or your timeline which you can visit by clicking your name, click on the rectangular dialog box of which indicates you can add or post something there. This box normally has your profile picture attached to the left of it. Add the item you have for sale description in to it and add your price if you desire so. Add some pictures concerning the item you have for sale, then click on the post icon.